The recall involves 5-pound bags of Gold Medal Unbleached Flour with a specific "best by" date. 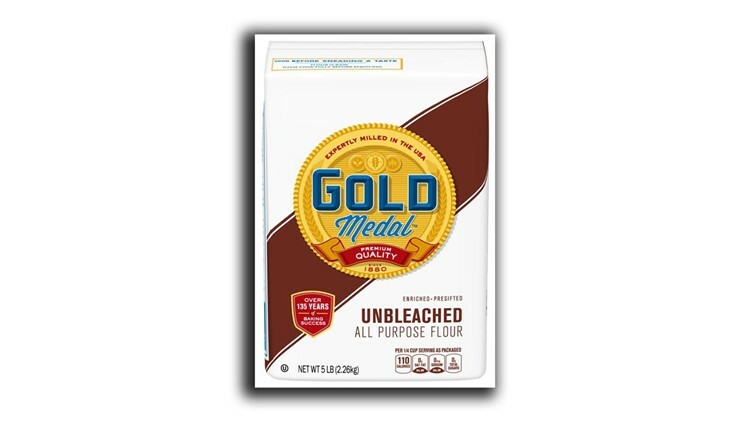 General Mills announced a nationwide recall of five-pound bags of Gold Medal Unbleached Flour because it could have Salmonella. The company said the recalled bags have a "better if used by" date of April 20, 2020. Only five-pound bags are affected. All other types of Gold Medal Flour are not affected. General Mills said it has not received any direct consumer reports of confirmed illnesses. Consumers are urged to throw away the flour. General Mills can be contacted at 1-800-230-8103 or by visiting www.generalmills.com/flour. The company also reminds consumers that flour is not a "ready to eat" product and anything made with it must be cooked or baked first and should not be eaten raw. General Mills said healthy people infected with Salmonella can experience fever, diarrhea, nausea, vomiting and abdominal pain.